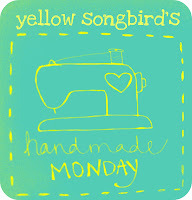 Featuring handmade shops for Handmade Monday is so enjoyable for me. 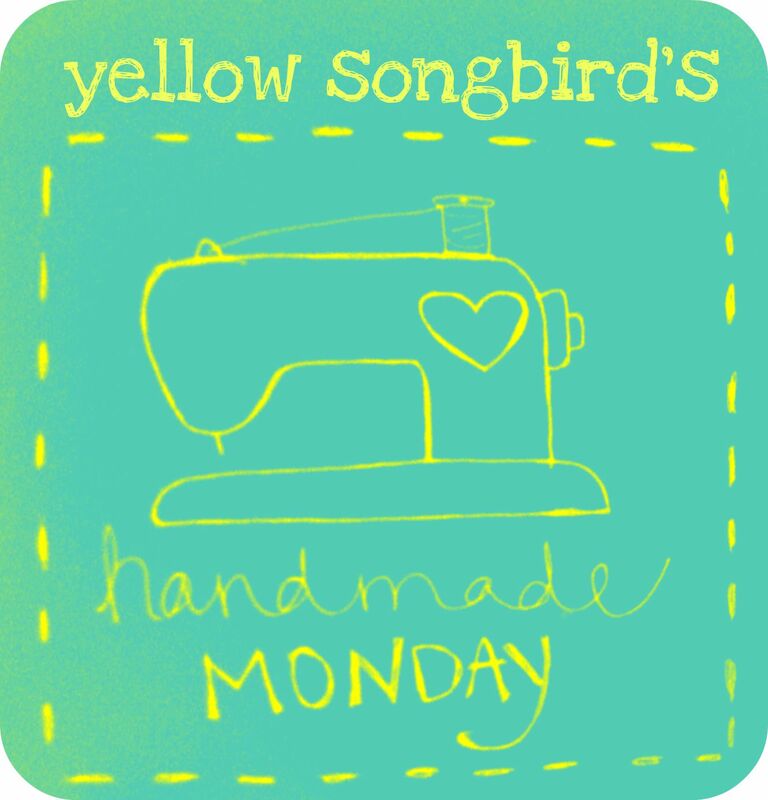 However, I want to change things up a bit and give myself more freedom to explore things I can post about on Handmade Monday. 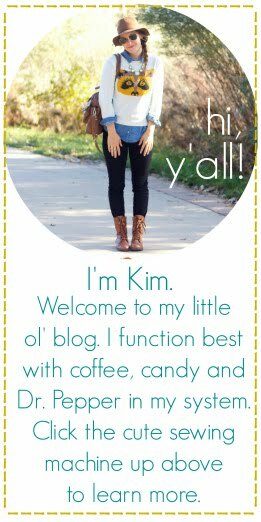 This week, I wanted to share two fun tips that I've had fun discovering. 1. Turn vintage earrings into pretty embellishments. All you have to do is take some pliers and bend the back post into a loop. Boom. You've got a button to use as an embellishment & make your project even more one.of.a.kind and special. 2. Turn old business cards into chalkboard tags. I had some old business cards that didn't even have my correct shop URL on it anymore. Instead of tossing them, I decided to make fun chalkboard tags out of them. All I did was put two coats of chalkboard spray paint on them & let them dry overnight. My business cards were a cardboard texture, and I'm not positive how glossy ones would work. It's worth a shot though! For these, I stuck a toothpick on the back and put in my herb plants. However, you can totally punch a hole in the corner and use as gift tags. FUN. EASY. INEXPENSIVE! That is a great idea for old business cards! I have so many laying around here, and I have chalkboard paint, too! Oh! Soooo simple! I have an old pair of my mom's earrings and wanted to do something with them...problem solved! Great tip! Love your idea for old business cards! I think I may have to go find some chalkboard spray paint today! I want to try that!!! These are such clever little projects-love 'em! 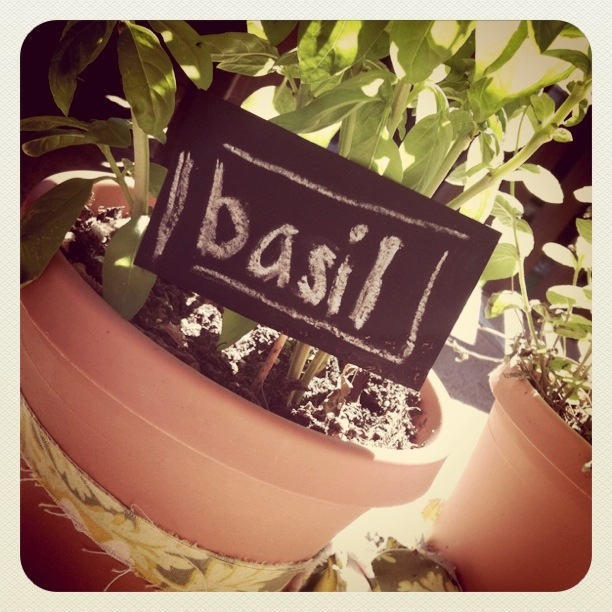 love the chalkboard tags! what some great ideas! You are so creative!! Love the idea of turning old vintage buttons into earrings! It allows me to know about website on ohsweetjoy.com this. It is a entertainment website for of all us.I think that it website is one of the main needs of individual & is kind for essential any development.I always like this website. You have been confirmed importance topic in your content. It will encourage me always. This is very amazing post! I will preserve this webpage as I have High-class Woodworks has collected a rich collection of craftsmen to meet up with any custom providing tasks, from gotten back furniture makers to log bed master contractor, to iron workers and some of the globe's leading large wood statues. The icon of luxury Wooden business cards signify the soul of reliability we put into seeking our wood from Our country's woodlands.